If you have deleted a Custom Type and attempt to create a new type with the same name, you might get an error message saying, "Type id already used." When you see this message, you will need to recover your deleted type. Let's say that you had an old type named, "Article" that you want to recover. For your case you will just need to replace example-repository with the url of your repository, and article.json with the API ID of the Custom Type you are trying to recover. For example: blog_post.json or whatever you need. 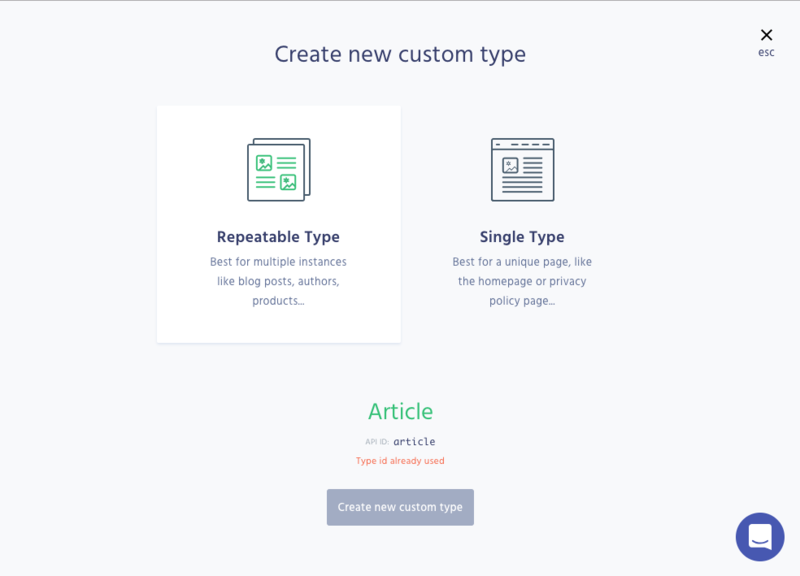 When you follow that url, you will be taken to the edit screen for the Custom Type, where you will be able to make your changes and save the type to recover it.